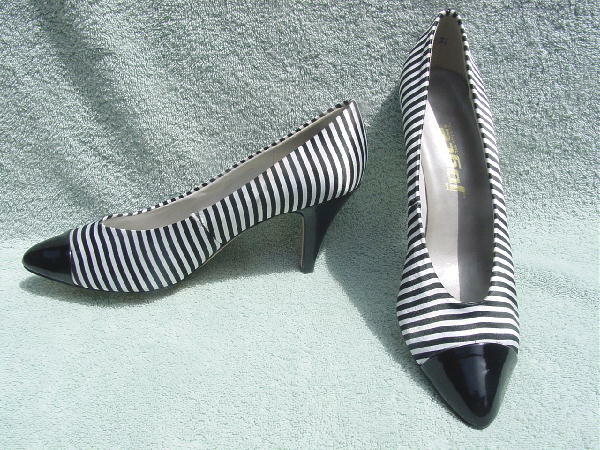 These vintage never-worn black and white fabric and black patina pointed toe pumps are by Joyce and were made in the USA. They were originally sold at Robinson's (part of the store tag is still attached). They have padded gray insoles and light gray fabric linings.